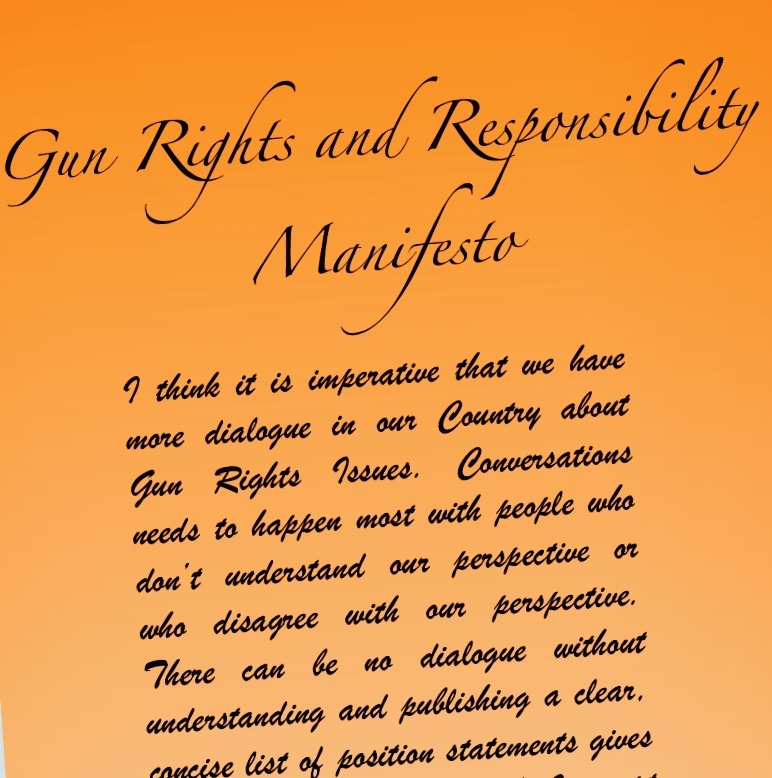 I think it is imperative that we have more dialogue in our Country about Gun Rights Issues. Conversations needs to happen most with people who don’t understand our perspective or who disagree with our perspective. There can be no dialogue without understanding. Publishing a clear, concise list of position statements gives us a solid starting point. As I accept a leadership role in the Second Amendment Organization, I thought it was important to publish a thorough list of Position Statements on gun rights and responsibility issues. By sharing our thoughts on these important issues clearly, we invite dialogue. We invite questions. We even invite challenge… and we know that it’s coming. These positions can be found at gunrights.info. Rather than be reactive and put out statements only when issues are “in the news”, Second Amendment Organization intends to be Proactive in the fight to increase support for the Second Amendment, the Expansion of Gun Rights among responsible citizens and decreasing Gun Negligence within the gun community. The world of Gun Rights in the United States has changed dramatically over the past few decades… and it has changed for the better. 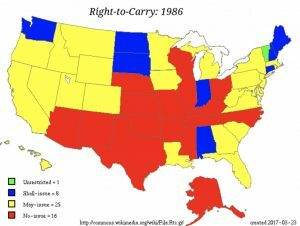 Three decades ago, there were still over fifteen States where citizens did not have the right to carry a concealed defensive firearms. Two dozen years, ago we were placed under the most oppressive gun ban this country has ever seen. Even a decade ago there were still two States where getting a Concealed Carry Permit was illegal. When I really started caring about our gun rights in the 1980’s, there were less than 2 Million Concealed Carry Permits in the United States. The defensive firearms training industry, which I have spent the majority of my adult life working in, barely existed. Firearms were still primarily made from metal and wood. The leaders in our community were still largely talking about “sporting traditions” and our “firearms heritage” as the rational for defending the Second Amendment. The strategies that were put in place by the firearms community after the attacks on our rights in the 1960’s and into the 1980’s were failing… and the Gun Control Act of 1986 and the Assault Weapons Ban of 1994 are what we got as a result. The leadership of our community began to respond differently. They identified and motivated the base of the Second Amendment Community and started winning back ground. We fought hard and we used tactics and strategies appropriate to the times. The pro-gun-control movement watched, reacted and responded in kind and, today, they are more powerful and organized than ever and are too often represented in the public eye by out-of-touch extremists. 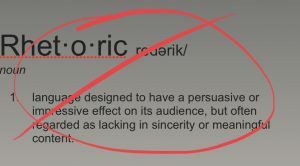 Their positions and opinions have become clichés and their talking points predictable, stale and wrought with misrepresentations, rhetoric and hyperbole. Their leaders are in many cases twisted caricatures of the reasonable intentions around gun safety and responsibility that many Americans believe in. Sadly, I can say those same thing in many cases about “our side”. Over the past two decades the polarization around gun issues has become one of the most contentious topics in American politics. Many of the representatives of the firearms community in the public eye have also become caricatures. Many of their talking points and much of their rhetoric is as stale and contorted as our oppositions. It is time for a new approach. 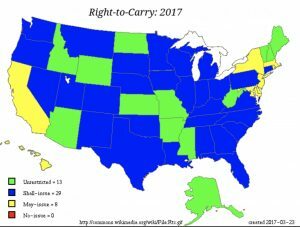 Today, over 17 Million Concealed Carry Permits have been issued and another 15 Million people can carry legally in “Constitutional Carry” States. There are 100 Million Gun Owners and 300 Million Guns in civilian hands. We haven’t had any significant Federal Gun Control Laws enacted against us in over two decades. In the last decade, the only significant Federal Gun Law change has actually been a positive one in regard to allowing Concealed Carry in National Parks. Most States have had positive movement in regard to expanded gun rights as well. Where we have lost ground in a handful of States over the last thirty years, the fight is strong through the efforts of entities like Illinois State Rifle Association, Firearms Policy Coalition (CA) and Gun Owner’s Action League (MA). I have said for many years that our real legislative and judicial focus should be at the State Level, in both directions, as we hold back oppressive Gun Control Initiatives in some areas and expand rights through the push for Constitutional Carry in others. But, a different kind of struggle has developed at the National Level. That struggle is a cultural one. We have made it too easy to demonize guns and gun owners. We have made it too easy to denigrate our lifestyle and mock our positions on freedom, gun rights and the good that comes from responsible gun ownership. In our efforts to combat the extreme views of the most vehemently anti-gun movements in the United States, we have rallied our most extreme pro-gun citizens. We have motivated action and achieved great things… but, in today’s world, too much of rhetoric sounds like fear mongering. Too many of our talking points are hollow and some are even non-sensical. Our leadership is too often out of touch with the majority of responsible gun owners and has been ineffective in regard to influencing the vast majority of American Citizens on gun issues. The Second Amendment Organization was founded on a response to a cultural shift that occurred in the US after the vicious killings at Sandy Hook. After that tragedy, an unprecedented number of large corporations, international companies and local business began declaring themselves and their locations as Anti-Gun or “Gun Free Zones”. A few people stood up in opposition to that movement and declared their businesses as Gun Friendly… one of those business was operated by our Founder, Bryan Crosswhite. In the wake of that decision, Bryan received a great deal of media attention and was soon joined by other businesses around the county. Bryan saw an opportunity to motivate and celebrate the message of Support for the Second Amendment from businesses outside of the gun industry in a way that had never been done before. He started 2AO and within a few years established chapters in over 20 states and had well over 250,000 Businesses Committed. 2AO never charged a membership fee and never collected a single dollar to promote the businesses that committed their support to our way of life. Unfortunately, the momentum of 2AO faded in the years that followed its rapid growth. Thankfully, Bryan and the Board have quietly continued their work in a variety of ways and 2AO still exists as a solvent non-profit corporation dedicated to protecting, expanding and educating about the Second Amendment. A few months ago the Board of Directors asked me if I would be interested in joining them. In fact, they honored me with the opportunity to lead the next era of 2AO. We have spent the last two months working together to craft a new mission statement, new vision and new strategies to carry on the work that to promote a Pro-Second Amendment Attitude in business across the country and to support and educate Grassroots Second Amendment Advocates around the country dealing with issues at the State and Local Levels. We are also adding another mission as a top priority for the organization. This mission is one that I am incredibly passionate about and can be a controversial one. The Second Amendment Organization vows to combat Gun Negligence in all forms inside of the community of American Gun Owners. Sadly, as our gun rights have been regained, as gun use and ownership has increased, as more people are carrying guns for defense, we have seen too many gun related deaths, accidents and suicides inside of our community. The strategies of former decades have often shied away from even admitting that these problems existed. In our successful efforts to expand gun ownerships and gun rights, I fear that we ourselves have not done enough to educate and promote gun responsibility. I fear that we have not policed our own assertively enough when it comes to issues such as gun storage, gun use and general firearms education around the best practices when it comes to defensive firearms carry and the defensive use of firearms in or around our homes, families and businesses. Too many children have been shot accidentally. Too many teens have completed suicide or committed murders with their parents’ guns. Too Many Veterans have taken their own lives. Too many guns have been stolen and used violently by criminals. We have worried about “the other side” using these facts against us for too long. These tragedies are taking place within our community and it is time for us to redouble our efforts to prevent them by working within our community. I have come to the conclusion that a nefarious Anti-Gun Agendas are not the biggest threat to our rights; the perception that we cannot exercise them responsibly is a greater threat to our future. When Alan Gottlieb, the founder of the Second Amendment Foundation, invited me to speak at the 2018 Gun Rights Policy Conference, he said something very important: “Culture Drives Policy”. He has recognized that we are losing the cultural battle in the United States. I believe that is tied directly to our lack of addressing some of these real problems in a way that accepts accountability and promotes assertive action. I believe that it is tied to our fear of engaging in a dialogue about some of these real problems with the majority of Americans, including those outside of the gun community and even those who are more pro-gun-control than they are pro-gun-rights. I believe that we are allPro-Gun-Responsibility and that we should be encouraging and demonstrating that at every opportunity. Earlier this year, I was invited to join the Board of Walk the Talk America, an organization that has dedicated itself to a partnership with Mental Health Professionals with a politically neutral approach. WTTA is focused on reducing gun suicide, mitigating trauma related to Gun Violence and developing programs to identify at-risk individuals before they become a danger to themselves or others. In many ways, their mission and method which has been initiated by leaders from the gun industry, are a perfect way to make a difference and demonstratethat we really are interested in making a difference. I have been part of the fight for our gun rights for 30 years. I have spent over 15 years as a full time educator in the firearms world. I have developed large teams of instructors and teachers in a variety of firearms and personal defense areas, developed curricula for concealed carry, defensive shooting, armed home defense, law enforcement agencies and military special operations teams. These efforts have primarily been focused on the use of firearms under the worst case scenarios to defend lives. Over these years, I have, of course, also talked about issues of gun responsibility and safety in regard to our everyday lives with guns as well. In taking on a leadership role with Second Amendment Organization, I pledge to raise the priority of my efforts in these areas. These are the areas where we can do the most good to decrease the potential for tragedies. This is an important area for us to focus our efforts for both real improvement and to improve our image as gun owners. These efforts are political in nature and aimed at the political fight that we have ahead of us, not behind us. Fights that will be settled by American Culture as a whole, not just the rhetorical extremes. I look forward to the opportunities and work that lie ahead. I agree. When asked what we have done to prevent gun violence, we must be able to answer effectively. We have to show that we not only support the expansion of gun rights, but that we also support the expansion of gun safety and awareness. I believe if we do that, we will be able to reach people that fear only because they don’t understand or have the knowledge.